Wide highlighted avenue in the city center at night. 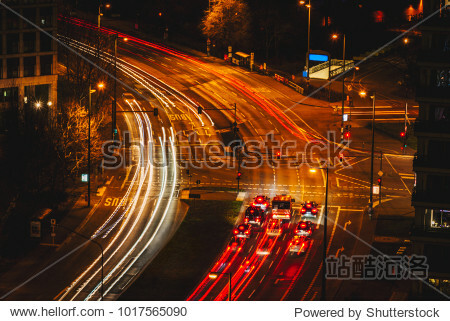 Light trails on the road. Long exposure photo. City street.